Purveyors of fine hand crafted pens and other turnings. Got an old (<2013) Pen-Guins Seam Ripper that is dull? Come see our booth for a free replacement blade. Seamripper required to be present. Come and see Pen-Guins in the 2018 SpoCon Dealers room. Our Spokes-Penguin will be showing off the latest in Penguin wares. Come and see Pen-Guins in the 2017 SpoCon Dealers room. Our Spokes-Penguin will be showing off the latest in Penguin wares. Come and see Pen-Guins in the 2017 RadCon Dealers room. Come and see Pen-Guins in the 2016 RadCon Dealers room. Come and see Pen-Guins in the 2015 RadCon Dealers room. Come and see Pen-Guins in the 2014 OryCon Dealers room. Come and see Pen-Guins in the 2014 SpoCon Dealers room. Our Spokes-Penguin will be showing off the latest in Penguin Kimonos. 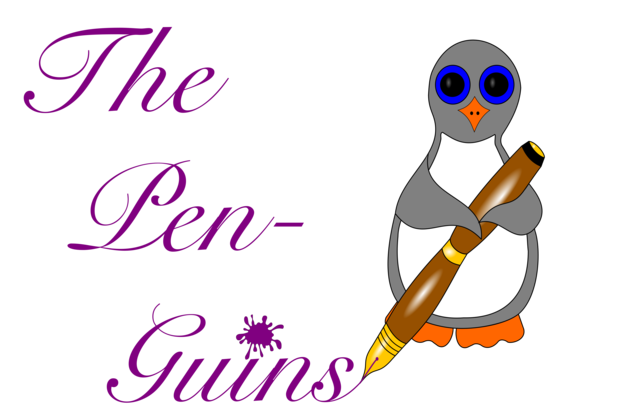 Come and see Pen-Guins at the 2014 Nagu Con. Here is what out Spokes-Penguin is wearing with all the fashionable penguins this season. Come and see Pen-Guins in the 2014 RadCon Dealers room. Come and see Pen-Guins in the 2013 OryCon Dealers room.